Anamari Aleman, is a senior at South Broward High School. However, despite being a senior this is Aleman's first year here at South Broward, due to the fact that she has lived in Nicaragua her whole life up until now. The main reason for her moving to South Florida is the turmoil that has been brewing in Nicaragua. She joined journalism because she wanted to improve her writing skills and photography. Anamari said her favorite interests are, "soccer, listen to music, and help other people". When she is not in school she likes to go out with her friends and play sports like soccer and volleyball. Due to her love for soccer, she plans on joining the school's soccer team. She likes almost every type of music besides both regular country and Spanish country music. 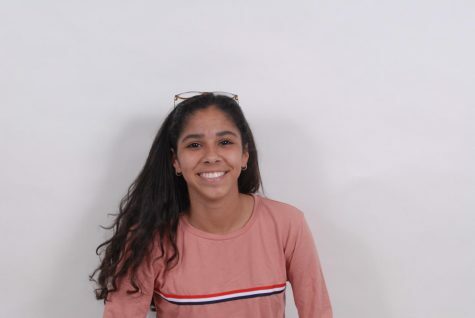 According to Aleman, her greatest weakness is that she gets easily distracted but she also claims that her greatest strength in school is her note-taking and studying abilities. What she fears most is not being accepted into a college or being eaten by a shark because she is always at the beach. The top three places that she would want to visit would be Dubai, Thailand, and Australia. Aleman's long-term goal is to be a clinical psychologist and to also open up her own food business.